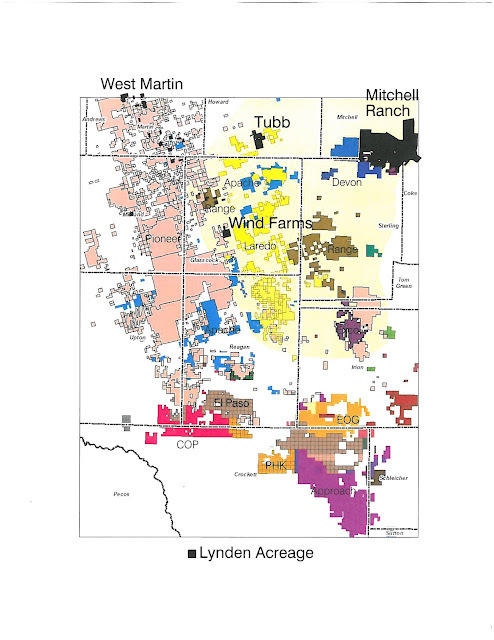 As you can see from the above map (LVL lands shown on map taken from Laredo's recent presentation), Lynden Energy Corp. has acreage located within the heart of the Wolfberry play with all of the large Wolfberry players surrounding them. 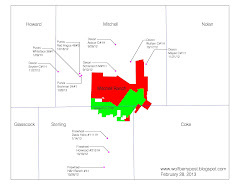 Lynden's Mitchell Ranch prospect area is within Devon Energy's delineation of the Cline Shale. Valuing that land at $5,000/acre equals $171 million (34,150 net acres). Recent transactions are continually validating Lynden's land as viable Wolfberry acreage. With companies scrambling to assemble Wolfberry acreage positions, Lynden has a tremendous opportunity to capitalize!